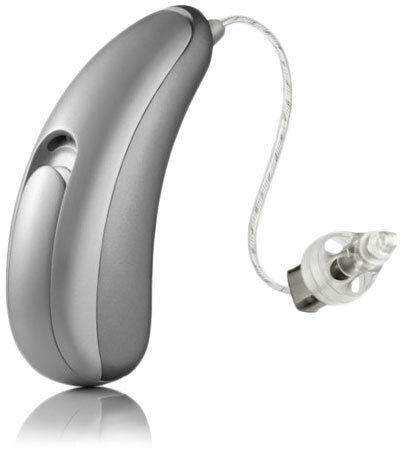 Unitron is a global company that designs and manufactures really great hearing aids. That’s what they do. Powered by Tempus, the Stride M R, Moxi Fit R and Moxi All R make up Unitron’s family of rechargeable hearing aids. An overnight charge can give your hearing aid power for an entire day. Simply remove the hearing aids from the charging base, put them on and go; there is no fuss and no buttons to press. Forgot to charge your hearing aid? That’s no problem; disposable batteries can be swapped for the rechargeable ones to ensure you will never be without power. Moxi All was created to connect with all smartphones, not just iPhones®. The hands-free programming allows users to answer the phone and have a conversation, without ever touching their device. Tempus is Unitron’s newest platform, designed to elevate your conversation. It delivers high performance and realistic sound, even in the most challenging listening environments – conversations in noise and crowds. The numbers don’t lie; 89 percent of users reported hearing better in conversations and 98 percent of hearing health care professionals who have tried Tempus would recommend it to their colleagues. Unitron’s SoundCore technology works to understand your listening environment. It will then make the fluid adjustments needed so you never miss a beat. Unitron has the world’s smallest wireless RIC hearing aid – the Moxi Now. The discreet choice.